Have you ever made hot chocolate before? Not hot cocoa, but real hot chocolate, made with nothing but chocolate chunks, hot milk and just a little bit of sugar? If you haven’t yet, you need to. It will probably change your life (or at least your expectations of hot chocolate). This wasn’t the recipe I had planned to post this week. In fact, a few days ago I made this amazing flourless chocolate cake. I served it with a warm raspberry sauce and a heap of fresh whipped cream. It was sinfully rich and moist, but we ate the lot before I could take any pictures of it. I’d also made it in a bit of a rush, so I didn’t have time to take any step by step photos either. I’d planned to make another one so I could take photos and share it for today, but then on Friday disaster struck and I had to change my plans. It was lunch time. I was sitting at my desk at work, eating a seemingly uneventful sandwich, when all of a sudden my front tooth felt a little funny. I went to the washroom to inspect it closer, thinking I had gotten something stuck between my teeth and just needed to floss. That’s when I noticed…the crack! Now, I have some serious anxiety when it comes to dental related stuff. I practically vibrate with fear in the dentist’s chair, even when I go for just a cleaning. So seeing my front tooth cracked from top to bottom sent me into full panic mode. I’m still undecided as to which is worse – the actual tooth damage, or the part where the dentist has to fix it. Either way, my Friday afternoon was spent curled up in terrified anticipation of the dental work to come. Saturday morning was spent in the dentist’s chair, followed by an afternoon on the couch feeling extremely pathetic and sorry for myself. As you might imagine, I wasn’t really feeling up to making a cake after that. Then my man “jokingly” offered to blend my dinner up for me to drink. After contemplating for a moment what a liquid dinner might taste like, my brain went straight to liquid dessert. That’s when it hit me…hot chocolate! 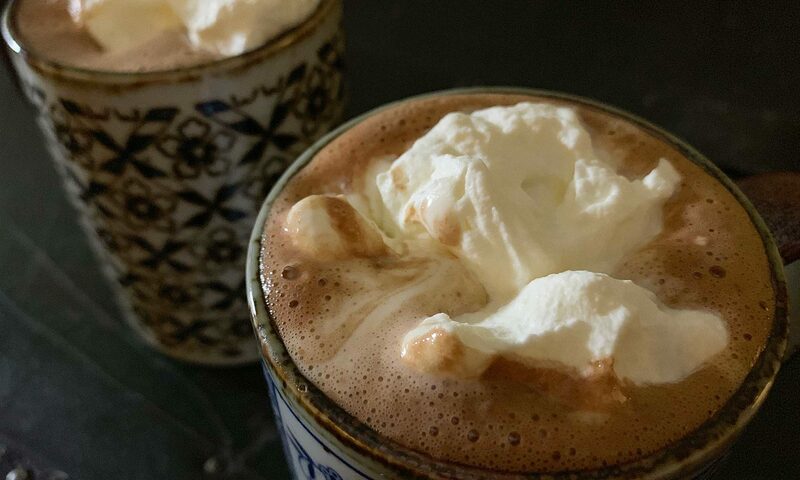 Not just any hot chocolate, but a rich, decadent, hot chocolate. 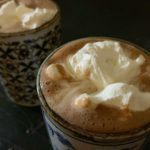 This recipe uses real melted chocolate, not cocoa powder, to give you the thickest, creamiest, most delightful hot chocolate. 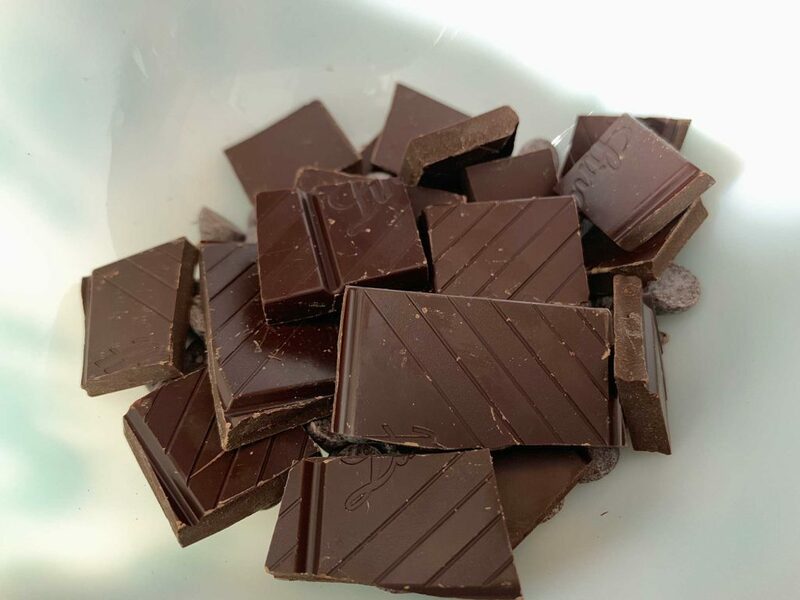 Start by chopping or breaking up some bittersweet chocolate. I used a combination of 70% Lindt chocolate and semi-sweet Ghirardelli chocolate chips since that’s what I had on hand. Heat the chocolate either in the microwave or in a double boiler until completely melted. Meanwhile, heat some milk and sugar in a small pot on the stove. The recipe calls for whole milk and 2 tablespoons of sugar. I only had 2% milk in the fridge, but I did have some whipping cream too, so I used a little less milk and topped the rest up with cream. I also added only 1 tablespoon of sugar, since I used half semi-sweet chocolate instead of all bittersweet. Heat the milk until it just starts to bubble and foam at the edges. Turn the heat off before it comes to a rolling boil, and then add the melted chocolate. 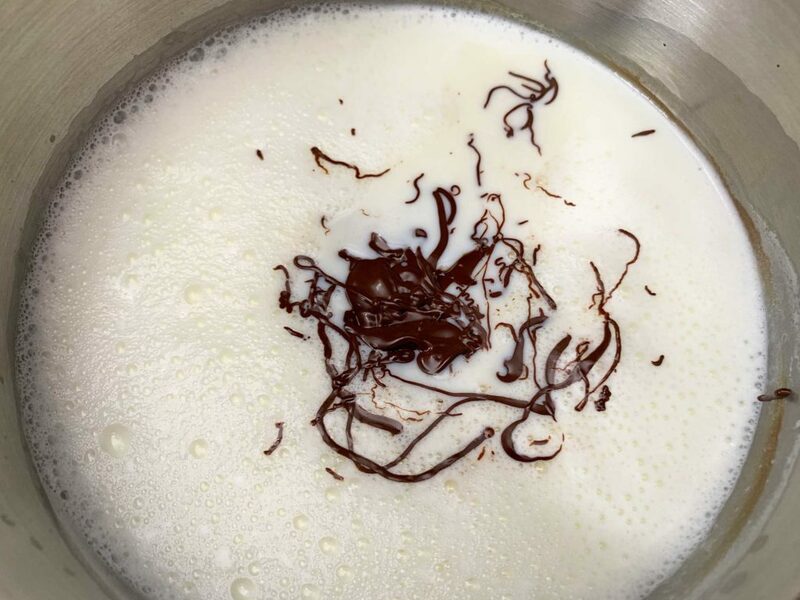 Whisk the chocolate into the milk until well combined, then pour it in to your favourite mug. You can dress it up with a dollop of whipped cream, some marshmallows, chocolate shavings, or a sprinkling of cocoa powder. This recipe makes enough for 2 smaller mugs. At first I thought the serving size seemed small, but this really is a very rich drink. My chocolate craving was well satisfied before I reached the bottom of my cup. My man thought it would have been better a little sweeter, but I liked it as was (he just needs sweetening up more than I do). You can always adjust the amount of sugar to suit your taste buds. 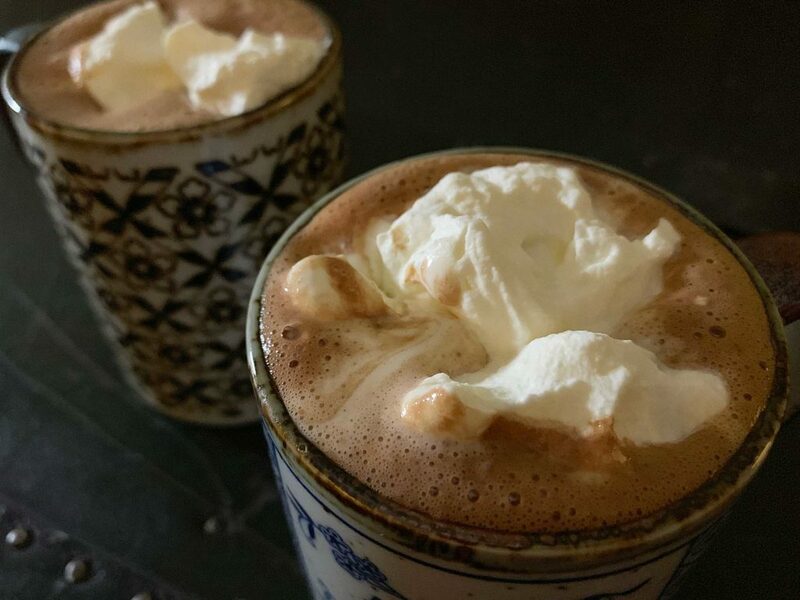 A rich, decadent, creamy hot chocolate, made with real chocolate chunks. A must try for any and all chocolate lovers. 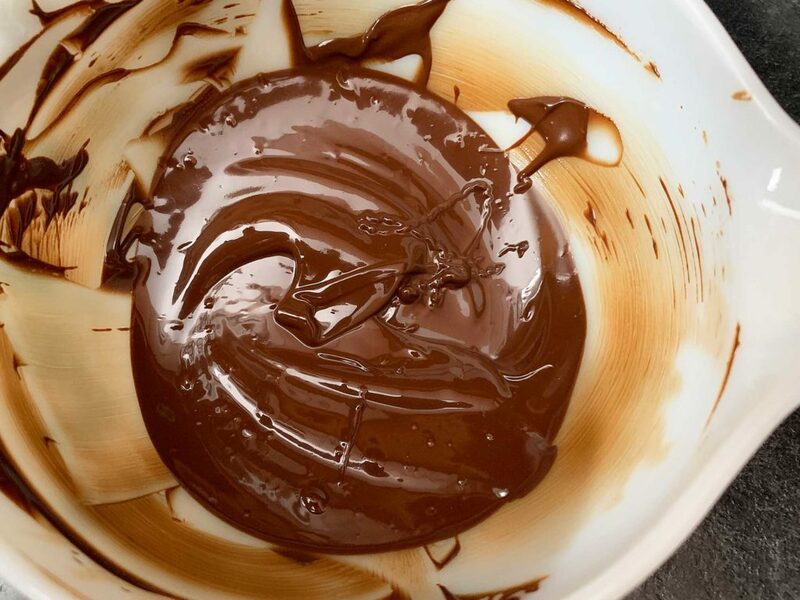 Melt the chocolate in the microwave or over a double boiler. 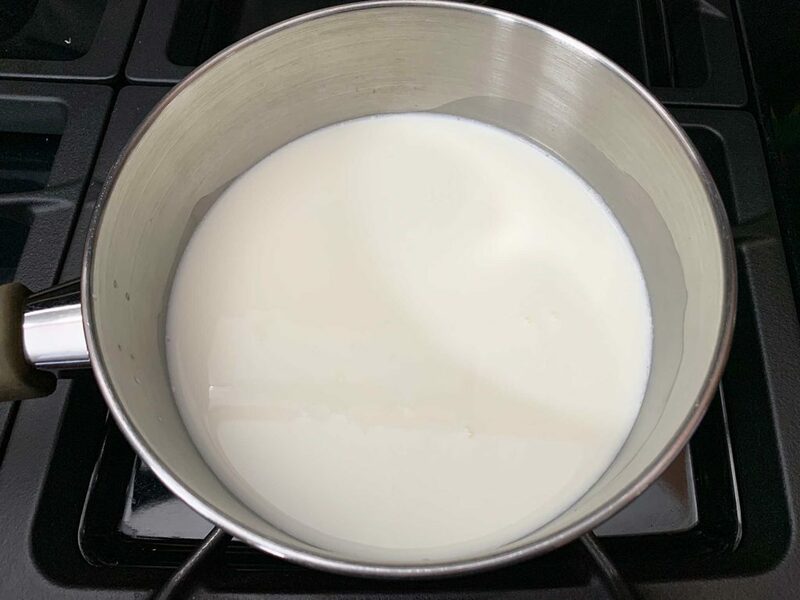 Heat the milk and sugar in small saucepan over medium heat until it just starts to bubble around the edges. Turn off the heat and pour in the melted chocolate. 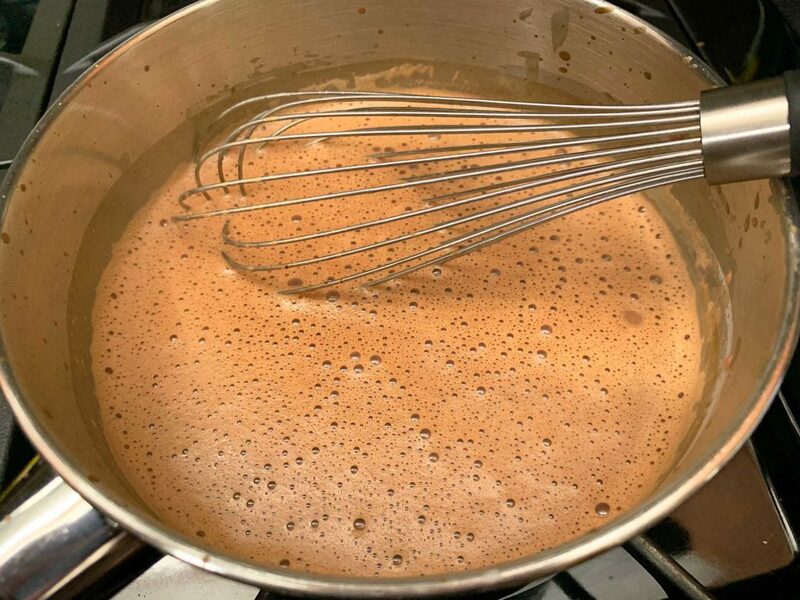 Thoroughly whisk the chocolate into the milk. Pour into mugs and top with marshmallows, whipped cream, chocolate shavings or a sprinkle of cocoa powder. Original recipe from Fifteen Spatulas.